On 23th June 2016, a theatrical performance will take place in the Cemetery Chapel at the Non-Catholic Cemetery in Rome. The theatrical performance “Readings from the Rome scenes and other parts of George Eliot’s Middlemarch” was selected by Mark Irvine and will be performed by Rory Stuart, Janet Hague, Rosie Hillesley, Michael Fitzpatrick, Jim McManus and Shelagh Stuchbery. The English Victorian novelist Marian Evans (who used the male pen-name George Eliot so she would be “taken more seriously” by the reading public of the time) visited the Cemetery with her partner George Henry Lewes (the biographer of Goethe) in April 1860. Eliot and Lewes’s relationship caused a sensation in English society at the time because Lewes was married to another woman. Mark Irvine has put together another great collection of readings by and about these two fascinating individuals that will both inform and entertain. The performance will take place on Thursday, 23th June 2016 at 6.00 pm, in the Cemetery Chapel at the Non-Catholic Cemetery in Rome. The event will be in English. For free tickets send your personal data to marian.cadman@libero.it and invitations for the first 80 seats will follow. Donations for the upkeep of the Cemetery are welcome! 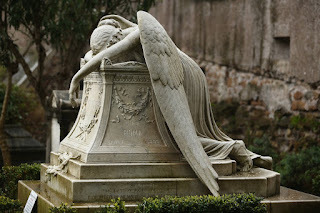 For more information and list of other interesting events taking place at the Non-Catholic Cemetery in Rome visit the website www.cemeteryrome.it.